A recent online post (22.07.2018) by ABC Radio Brisbane, Jessica Hinchliffe reported that shoppers have been warned not to overload their bags at the checkout after reports of an increase in injuries from people trying to carry heavy reusable bags. 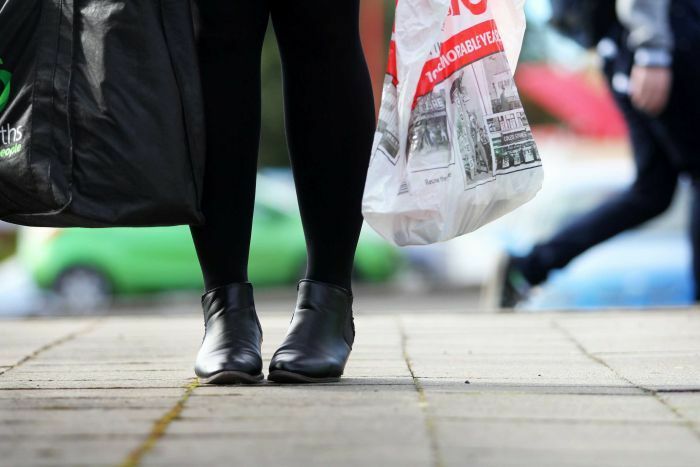 Shoppers have been warned not to overload their bags at the checkout after reports of an increase in injuries from people trying to carry heavy reusable bags. Stephen Bourke from Hinchinbrook Physiotherapy has seen multiple patients over the past two weeks who blame their rotator cuff injuries on the weight of their shopping bags. 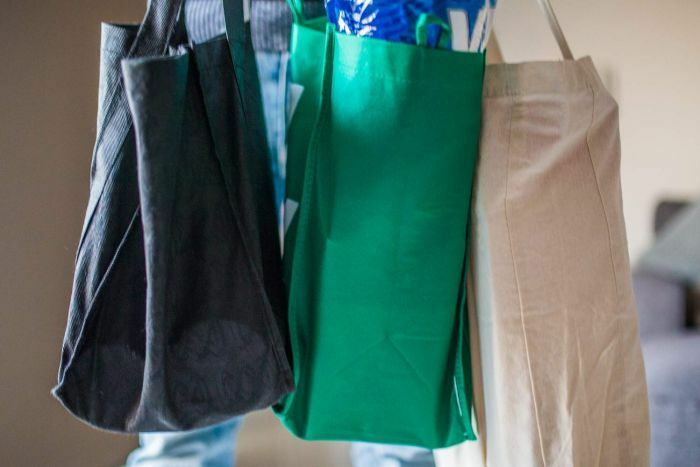 Single-use plastic bags were phased out earlier this month in Queensland, with their bigger and stronger replacements prompting shoppers to pack more in. “This week I’ve seen a 65-year-old lady who had a rotator cuff tear and a 39-year-old lady who already had a rotator cuff injury and ended up damaging her neck as a result of the bags,” Mr Bourke told ABC Radio Brisbane. Mr Bourke said many people were avoiding buying additional bags to distribute the weight. “A single overloaded bag could weigh eight kilograms and that weight can be quite heavy, especially for people over the age of 65. Mr Bourke said in most cases people were experiencing rotator cuff injuries. The rotator cuff is a group of muscles and tendons that surround the shoulder joint keeping the head of the upper arm bone in place. The injury can cause a dull ache in the shoulder which can become worse when you try to sleep on your side. Mr Bourke said treatment involved strengthening the rotator cuff area gradually. “You strengthen other muscles to take over the load, often with bands to strengthen the area,” he said. “We often tape the area when injured to de-load the rotator cuff area to allow it to heal. Back pain is a common musculoskeletal condition with approximately 80 percent of adults experiencing low back pain at some point in their lifetimes. It affects men and women equally and is the most common cause of job-related disability and a leading contributor to having time off work. The sensation of low back pain can range in intensity form a dull, constant ache to a sudden sharp sensation that can leave you incapacitated. The onset of pain can begin abruptly as a result of lifting something heavy or turning awkwardly. It can develop over time due to age related changes of the spine and from smoking. Most low back pain is acute or short term, and can lasts from a few days to a few weeks. It tends to resolve on its own with self-care and there is no residual loss of function. The majority of acute low back pain is mechanical in nature, meaning that the pain involves multiple anatomical structures and elements of the lumbar spine. Many of these components have sensory nerve supply that can generate signals that represents tissue damage. Subacute low back is defined as pain that lasts between 4 and 12 weeks. Whilst chronic low back pain is defined as pain that persists for 12 weeks or longer, even after an initial injury or underlying cause of acute low back pain has been treated. Of the 80 percent of individuals that develop an acute episode of low back pain approximately, 10 – 20 percent of people will develop persistent symptoms. In some cases, treatment successfully relieves chronic low back pain, but in other cases, pain persists despite medical and surgical treatment. It generally depends on whether the pain is acute, sub acute or persistent. Other factors such as nerve root injury and disc protrusion will also vary the treatment intervention. Bed rest should be limited and early range of movement and stretching should be introduced as soon as possible. Strong evidence shows that persons who continue their activities without bed rest following onset of low back pain appeared to have better back flexibility than those who rested in bed for a week. Strengthening exercises beyond general daily activities, are generally not advised for acute low back pain, but may be an effective way to speed recovery from chronic or sub-acute low back pain. There is evidence to support yoga for short- and long-term benefits to manage chronic low back pain. Our physiotherapist can help you with management of low back pain and provide with a program to aid in your recovery. Contact us for professional advice and management. D espite its small size, the coccyx has important functions. It is the insertion site for multiple muscles, ligaments, and tendons, and serves as part of tripod with the ischial tuberosities, that provides weight-bearing support to a person in the seated position. The incidence of coccydynia (pain in the region of the coccyx) has not been reported, but factors associated with increased risk of developing coccydynia include obesity and female gender. Coccydynia is often self-limiting and mild in discomfort and mild, however in some cases it can persist for months and years. 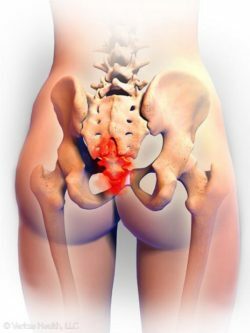 The key to understanding coccydynia is understanding the the anatomy of the posterior pelvis and how this part of the body is involved in our movements, stability, and daily life and although many patients respond to conservative treatments, some patients require more aggressive interventions. A multidisciplinary approach involving physiotherapy, ergonomic adaptations, medications (NSAIDs), injections, leads to the greatest chance of success in these patients. The physiotherapists at Illawarra Physiotherapy understand the different mechanisms that can lead to coccydynia, Our treatment plan includes assessing the pelvis and lumbar spine for articular or muscle dysfunctions, specific releases of the overactive muscles and tight ligaments, and teaching you how to turn off over active muscles. Pain in the shoulder is the third most common musculoskeletal complaint, which affects approximately 1% of the adult population, with 65 – 70% of all shoulder pain related to injury to the rotator cuff tendons. 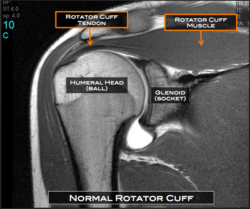 Of these, it is estimated that 5 to 40% have full-thickness tears of the rotator cuff tendon. Tendinopathies or inflammation of the rotator cuff tendon and tears are age related and commonly degenerative pathologies. Many individuals present to their general medical practitioner and are referred to an orthopaedic surgeon for surgical repair. The role of exercise in treating rotator cuff tears has become increasingly popular as a means to treat and manage partial and full thickness tear to the rotator cuff, by addressing weakness and functional deficits that are commonly present him patients with symptomatic shoulders. Prolonged exercise rehabilitation and non-operative treatment should be considered in patients with rotator cuff tendinopathies, partial-thickness tears or small full-thickness tears. The primary aim in treating a rotator cuff tear through conservative management is to reduce pain and improve function, and exercise rehabilitation is usually the cornerstone of this conservative management plan. Restoration of full, pain-free range of motion, flexibility, muscle balance, and scapulothoracic and glenohumeral muscular control and stability, are all-important goals of the rehabilitation. Understanding the impact that cuff tears have on shoulder complex function and muscle activation patterns can contribute to designing a restorative exercise rehabilitation program. Strengthening of the rotator cuff muscles is important to provide accurate positioning and stabilization of the humeral head in the glenoid fossa, preventing excessive elevation of the humerus, which may cause impingement and compression of the tendon against the coraoacromial arch. Our physiotherapist have a special interest in treating simple and complex rotator cuff injuries and pain.